In this guide you will learn how to implement a simple outlier analysis to find values in an array that are outside of the norm. This is very useful when trying to detect anomalies in data sets. We will implement a Node-RED function that uses inter-quartile outlier analysis (http://en.wikipedia.org/wiki/Interquartile_range) to detect values that are not “normal”. 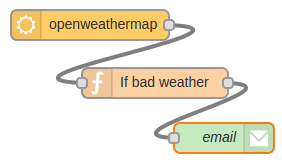 Send an email on a rainy weather forecast. Push sensor data to services like Twitter. Perform complex analysis on data with ease. If you’re new to Node RED you might find our Introduction to Node RED tutorial very helpful. 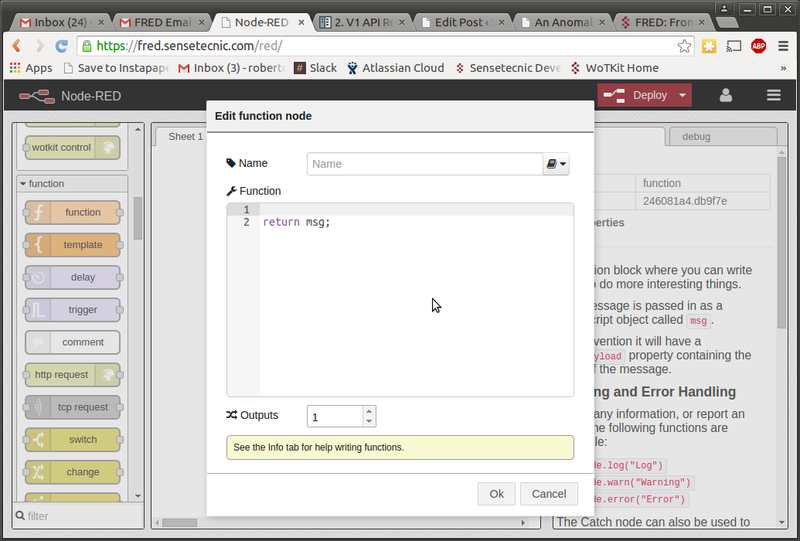 Front End for Node-RED (FRED) manages instances of Node-RED for multiple users in the cloud. We manage and optimize your instance of Node RED so you worry about accomplishing your project, not setting up and maintaining your Node-RED instance. To begin our tutorial create your own Node-RED instance in the cloud. Register for a free account at http://fred.sensetecnic.com. After registering make sure to activate your account via your email. You will not be able to login until you validate your account. 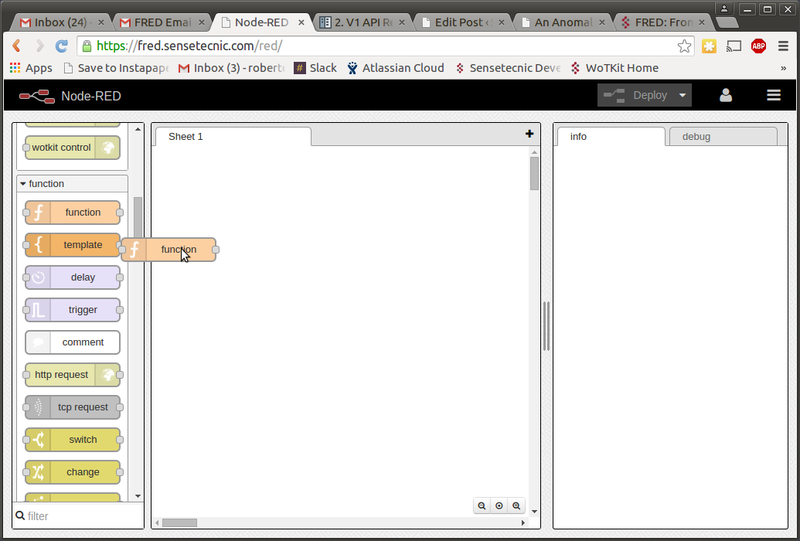 We will start by inserting a Function node from the left pane in FRED. Drag and drop a “Function” node onto the working canvas. Double clicking on the inserted node we will be presented with a modal window where we can type code. Common elements of messages are: payload and topic. For our function we will be using the “payload” element in our message object. How interquartile works (http://en.wikipedia.org/wiki/Interquartile_range) is measures the difference between the upper and lower quartiles. Quartiles are the points that divide the data into 4 equal parts. Anything that lies outside of these boundaries can be considered an outlier. We will write a function that will return a message if an outlier is found. To make it a trigger we will return null (in Node-RED null messages are ignored by nodes) if all data is normal. msg.topic = "Alert from FRED"
will be detected as not normal. I think your code examples are out of date/ wrong display! © 2019 Sense Tecnic Systems.